A Yukon photographer uses his camera to tell stories about the wilderness. Peter Mather has had the image fixed in his mind for more than two years now: A wild Chinook salmon, swimming below the pulsing Northern Lights. It&apos;s the kind of iconic moment that must occur hundreds, even thousands of times a year in the Yukon Territory, but it&apos;s one that few human eyes ever see. Last year, Mather spent more than a week trying to make that image a reality, scouting a good salmon stream in the Yukon backcountry, finding his location, waiting for hours in the dark. 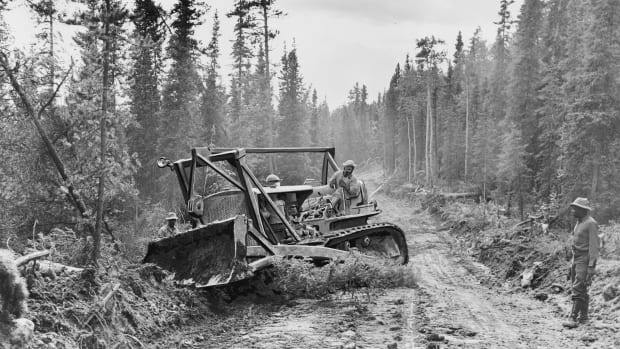 There were plenty of difficulties along the way: long nights, encroaching bears, uncooperative natural lighting. Eventually, his time ran out. "And so," he says matter-of-factly, "I had to go back again this year." Unfortunately for Mather, this year&apos;s stakeout didn&apos;t do the job either. "In the seven days I was there, the salmon were there, there was no bear around—everything was perfect," he says. 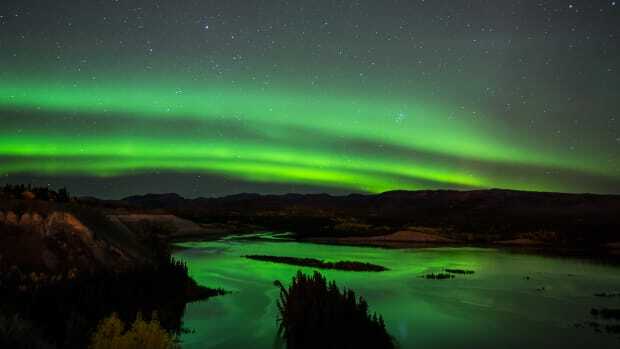 "And then the Northern Lights didn&apos;t come because it was just cloudy for seven days. And by the time the clouds stopped the salmon had gone." "You&apos;re trying to find the story, visually, for a certain landscape or animal. And then you tell it." Mather, 40, has been photographing the northern wilderness for most of the past two decades. He spends weeks at a time traveling by canoe, seeking out photos that tell a story about the Yukon&apos;s landscapes and wildlife; photos that make people feel a connection to that wilderness. "In many ways, our culture, our species, doesn&apos;t live very well within our planet. And that threatens our future," he says. "And so I&apos;m trying to get people to connect with the planet." Mather hopes his photos will inspire people to explore the outdoors, and sometimes he has specific strategies for achieving that goal—he might, for instance, try to capture an especially powerful image of a bear, to try to protect bear habitat. "I guess it&apos;s a lot like storytelling," Mather says. "You&apos;re trying to find the story, visually, for a certain landscape or animal. And then you tell it." For years, photography was one of several activities Mather devoted himself to. He also played soccer, canoed, and taught high school math. But recently he&apos;s grown more serious about photography as a profession. That transition began three years ago, when he worked as a guide for National Geographic photographer Paul Nicklen, an Arctic and Antarctic specialist, when Nicklen came to the Yukon for a story. After that, Mather says, "I kind of made a jump." He now spends between three and four months a year in the field shooting. And he teaches just one semester each year. As he&apos;s gotten busier and more in demand, his fieldwork has changed. He does fewer of those sprawling, multi-week canoe trips through the Yukon backcountry, shooting whatever he comes across. Instead, he winds up making targeted, shorter excursions in search of specific photos, specific stories. "Right now I&apos;m bouncing around a lot," he says. 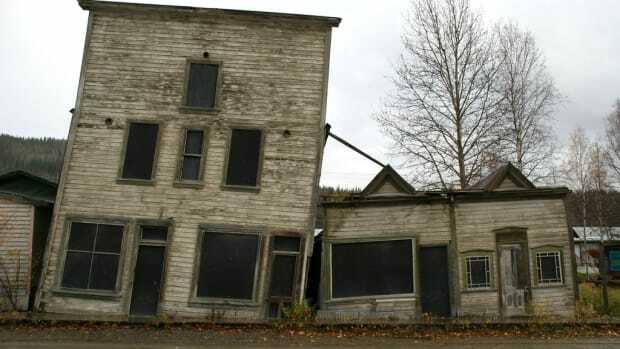 A brief sampling of the Yukon photographer&apos;s work. Mather often makes use of camera traps and remote triggers to get intimate, close-up action shots of animals in their natural state. 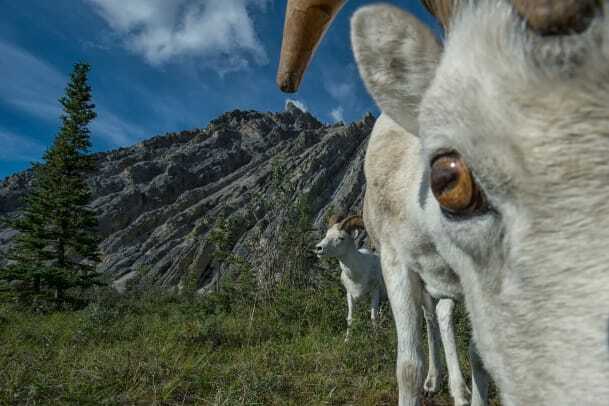 In one, a curly-horned mountain sheep peers into Mather&apos;s camera, its golden eye bulging out from the side of its head as it investigates. 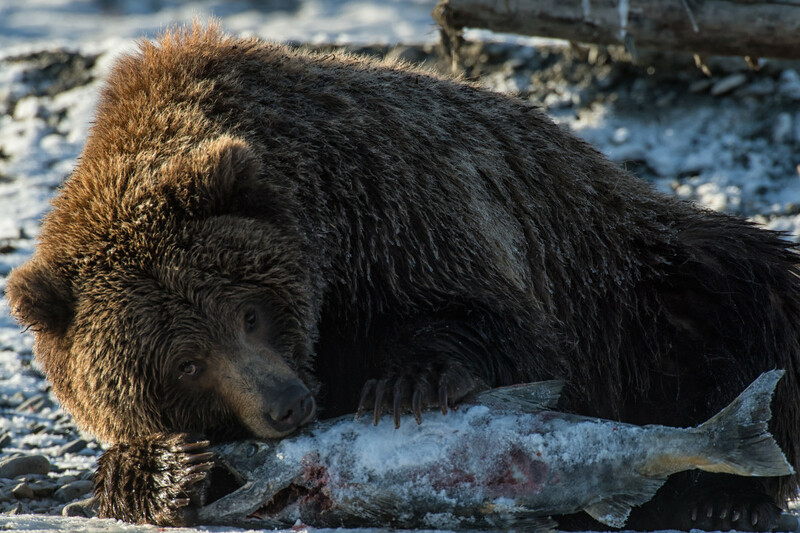 In another, a grizzly sow scavenges a dead salmon from a river. The photo shows the fish, already disintegrating, below the water, and the bear&apos;s focus as she moves in above her meal. The tenacity required to get a single photo can be hard to fathom. This winter, Mather has another very specific objective: He&apos;s "trying to get a bear running through a creek chasing a salmon," he says, "with a wide-angle lens where the bear&apos;s like two feet away, charging at the camera." That shot will undoubtedly require some hard work for Mather—he specifically wants the close-up of the bear to take place during the wintertime. Beyond the cold, though, he needs to figure out a way to predict the animal&apos;s behavior, so that he can be sure he&apos;s near his camera when the photo opportunity presents itself. "[I&apos;m] trying to understand what the bears are doing—a big part of it is trying to understand," he says. "You have to know the animal. You know, I&apos;ll find a spot where a bear is fishing, and I&apos;ll have to try and figure out what his patterns are, make sure he&apos;s comfortable with me, make sure he&apos;s safe, make sure I&apos;m safe, and then find out where he&apos;s going to be at what time of day to get the right photo." "I probably won&apos;t get it," he says of the charging bear shot, "but I&apos;ll probably spend three weeks out there, just fiddling around, trying to get that photo." And the end goal for all that effort? "You want a picture that&apos;s going to tell the story better than I can tell it in words." Who's the Boss in the Peel Watershed? 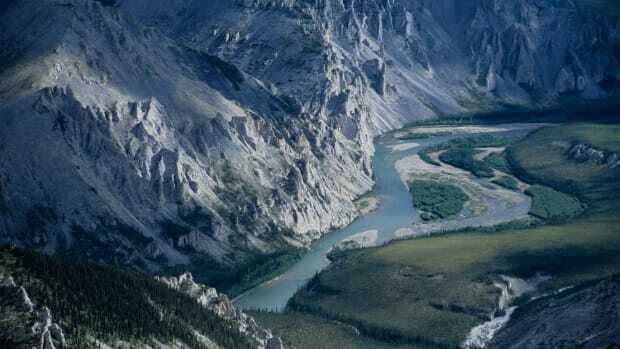 The fate of a wilderness area the size of Ireland will be decided in a Yukon courtroom. 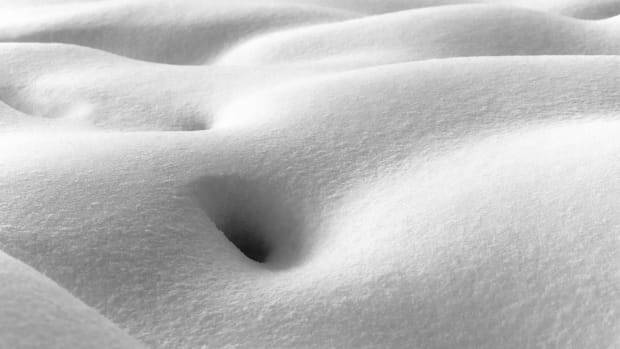 Researchers in the Yukon are working on ways to mitigate damage from the big thaw. 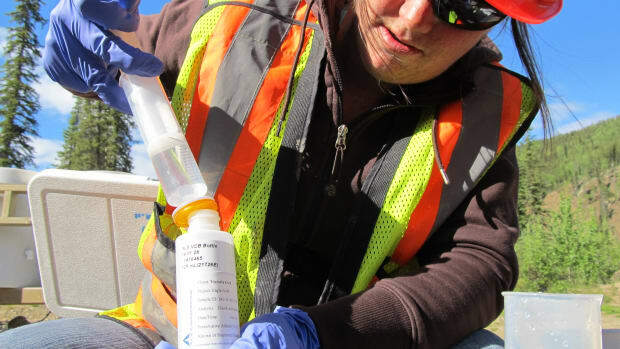 One Yukon scientist is working on a homegrown solution to the heavy metals left behind by mining operations.